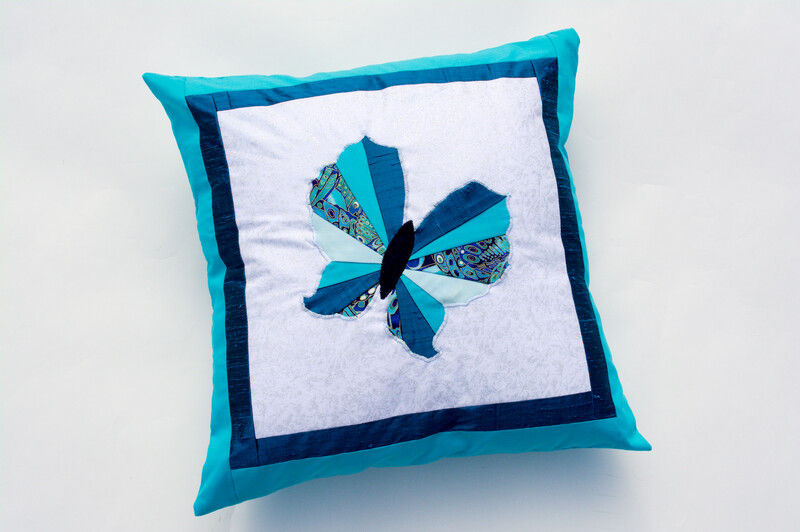 Made with someone in mind, this cushion was based on the meaning behind their name and their love of the colour turquoise! The butterfly is made using the Iris folding technique and cut to shape. It was then appliqued on to the white square and surrounded with borders to compliment the butterfly itself.